UPDATE: For newer Nokia phones, please use NSS pro to find back the forgotten security code. Click here to read more how to find back security code with NSS pro. 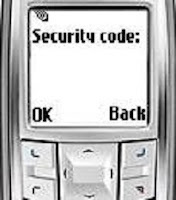 Many Nokia phone users forgot their phone security code and might charge fee for service in order to regain back the code from phone store. Now here's a guide of how you can find back your Nokia phone security code by yourself. I've written this guide very long time ago on other website which is no longer updating anymore. So this guide will work on most older Nokia phones, especially BB5 type phone. Hope this guide helps and save you a few bucks. Now, let's start on how to regain back your forgotten security code. Connect your phone to your PC with data cable. If the phone ask for connection mode, choose default mode or PC Suite mode (But don't open Nokia PC Suite). Now scroll down until field  and on the 5th Record (5=), your security code is saved at there. Just ignore the red colour font. So, 12345 is your security code. If this guide doesn't work with your Nokia phone, follow this guide of how to reset security code to default. The Nokia default security code is 12345.
i can not reset its ask me for the security code that the owner befor put it and i dont know what it is any help plz? Hi Chadi, try reset the security code with try method. It works for most of everyone. This may well work only I can not connect my N80 to my laptop (I have a ca53 & DKU2) both result in device not recognized. If the phone is locked, it is not likely to solicit for connection mode? Yes unfortunately, it won't work on locked phone. help me 2 recover the lockcode for n97.i forgot it. help me for recovering my lockcodes but my phone is not lock.n97.help guys pls. Try this if it doesn't work for you. Someone has successfully reset his Nokia N97. what iz my security code here? The code you provided is under  which is not we are looking for. It must be in the part of . Which Nokia phone you are using? I'm afraid this method don't work on your phone. You can try reset the security code to default following the steps in this post: http://keyable.blogspot.com/2012/02/how-to-reset-nokia-security-code.html Hopefully it works since many comments claimed it works on their Nokia devices. Hi, what message did you get right after you connected the phone via USB cable? Make sure other Nokia software are closed. Unlocked my phone..!! Well done Keyable..!! thanks for this post...it works perfectly! I just installed NSS. It works just fine. What error message did you get while trying to install? What about a phone that's already locked? I tried your method on an already locked Nokia 5610 (of which I forgot its security code), the phone won't connect in locked mode so the PC Suite can't find it. It will not work because NSS requires connection mode. what if keypad is locked with code and i m unable to select pc suite mode? Search for how to flash the Nokia phone, that should solve the problem but I've no idea how to flash. Good luck on your findings. It says 'error' when I click 'scan' or 'read'. What should I do?? What is your phone model? Try use NSS pro to reset the security code. Unfortunately no, the NSS software needs PC Suite connectivity in order to work. It won't work for locked device as it requires the connection. It dont work to remove Restriction Code (i.e. 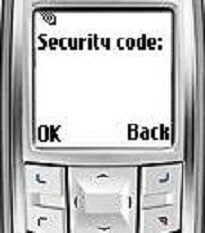 NT LOCK) on nokia classic 2700. Any ideas please? mail to crapicrap at yahoo. after this you have to take a look at your mobile phones battery. you'll find a negative pole (-) and the BSI ( ). after finding them you have to put one wire of the resistor at the negative pole and the other at the BSI. then put the battery into the phone again and connect it via usb to your pc again. then go on with point 4. of Lemon's tutorial. (i had to do this today too and it worked fine for me.) . for something that they can do by themself. Thank you for this interesting information. What was the phone you trying to put it on localmode? Does it works for all Nokia devices? I'll give a thumbs up for your comment so that it stays on top the rest which should be visible to the readers. All credits to you. Reset security code with NSS pro is the final solution I have. Based on the feedback I got, it seems NSS software don't play well with the E series which is disappointing. It should work with all BB5-phones, maybe also for all other nokia phones. I had to do this with my nokia x3-02. btw: there is a way to unlock older, non bb5 nokia phones. in the internet are some websites with mastercode generators, they can convert the imei of your phone to a securitycode that allways work for your phone. you can find the imei-code somewhere under the battery (15 letters/numbers). C:\Program Files\NSS\Backup\pm\myIMEI.pm but when i go to C:\Program Files\NSS\Backup\pm, i dont find the file ! it worked like magic.. so smooth... thank you very much.. great article..
Congrats! I'm really glad to hear it works on Nokia E63. Hi @green_lemon:. I"m at the 12th step my problem is, there are no red colored numbers. Pls reply. thanks! If you can't find the 5th record (5=) in .pm file, try the other method HERE to reset your security code. Good luck. Hi gurl, I can't confirm it because I didn't test with Nokia 5800 XpressMusic. I recommend you try this method because a reader claimed it works on his Nokia 5800 XM. REALLY LOVE U GUYS ITS WORKING I MISS MA PHONE SINCE 3 MNTHS REALLY TNK U SO MUCH,HOPE FULLY U LL GET GUD SUCCESS. Thanks for the valuable information. It will very helpful for others who can't find the *.pm file. Thanks alot ...it worked for me!! Thanks a lot, it worked on my N82, i was able to unlock it using nss pro,, my N82 was not being detected after i did a hard reset, by pressing *3 and green button,, then the phone was detected, in nss pro, afterwards was able to read the unlock code and i am using a win 7 64bit, the file was saved in C:\Users\s\AppData\Local\Temp\Rar$EX00.248\BackUp\358082013907668\358082013907668.pm one good thing is that, it displays the path where the file is saved in the pc, which is very good, also i still wonder why, it was not being detected earlier in nss, and nss pro, but after doing the format it was being read by nss pro !!! Fantastic finding! Got a number of readers also could not detect the phone in nss & nss pro at first. Some need to restart computer, repluging USB cable, and formatting the phone. Only then nss can detect the phone. 30333834363900000000 what is my security code!? superb... i got my password back.. thanks a lot..
i downloaded nss.. bt when scanning it says error.. cn someone help?